Born and raised on the island of O’ahu, Stacey spent the first seven years of her life recreationally enjoying the beautiful resources that Hawai’i has to offer. At age seven her family relocated to Portland, Oregon where the “green” lifestyle would inspire her to study and learn the importance of sustainability and environmental conservation. Through her college years she volunteered with peers in environmental awareness through campus events and community awareness programs. In May of 2010, Stacey received her Bachelors of Science degree from George Fox University with concentrations in Biology. She has a deep fascination and curiosity for the diverse subject matter of biology and is excited to learn much about the island as she interns through Hawai’i Youth Conservation Corps with Reef Watch Waikīkī. 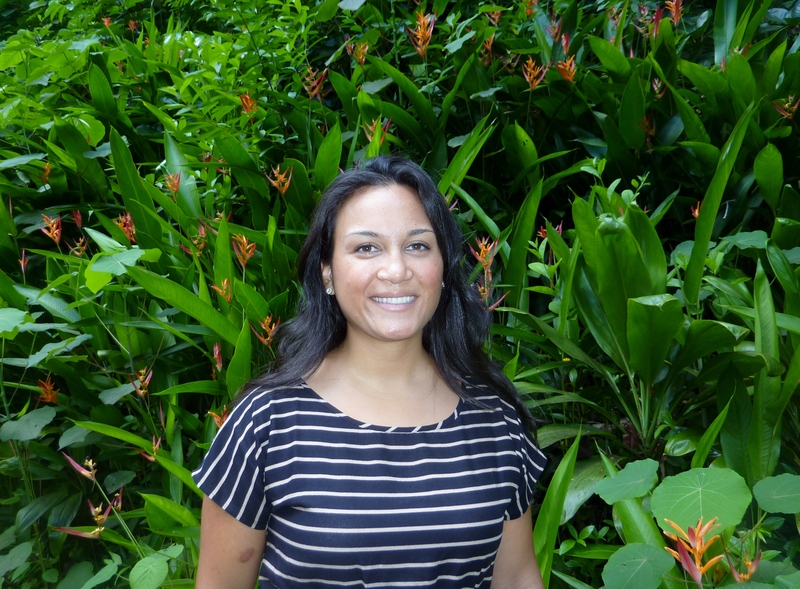 Stacey loves to inspire and work with others to get involved in their community and is especially thrilled to involve the Waikīkī community in care and concern for their ocean and environment. 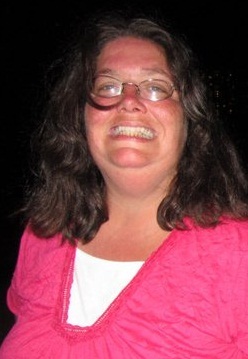 Stacey is happiest when she is enjoying the outdoors by hiking, biking or exploring the ocean. She is also passionate about photography, loves to cook and feast with friends, and lives to experience culture through travel. James Jackson is originally from Virginia where he became interested in the marine environment at a young age while spending time on the shores of the Chesapeake Bay, along which his hometown is positioned, and the nearby Atlantic Ocean. In 2007, he received a B.S. as a dual major in Biology and Environmental Science at The College of William and Mary in Williamsburg, VA. Having been accepted into the Zoology Graduate Program at the University of Hawaii at Manoa, he then relocated to Honolulu, HI. Once there he spent his first three semesters studying Hawaii’s marine life while serving as a teaching assistant for General Zoology, Marine Biology and Marine Invertebrate courses. He then began working on a research project focused on the early life history and rearing of Opakapaka (Hawaiian Pink Snapper). In the summer of last year his time at UH came to a close with the completion of his M.S. thesis which was focused on larval reef fish early life history and predatory behavior. James currently works on board the Star of Honolulu as a manager for their Humpback Whale watching tours and has now joined the Reef Watch Waikiki team to serve as the Nearshore Resource Monitoring Coordinator. 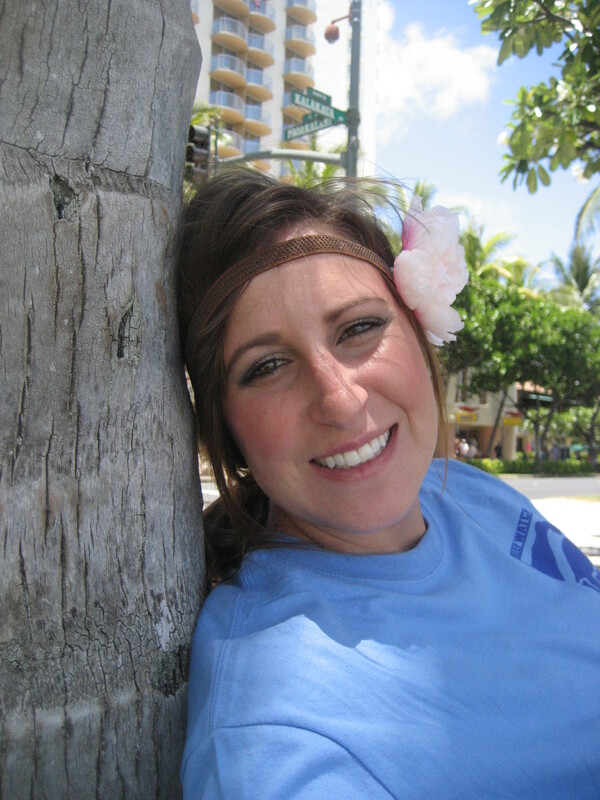 Cassidy grew up on the island of Oʻahu and graduated from Kaiser High School. Her interest for the marine environment started at an early age, when her family would go to the beach on weekends to surf, snorkel, and picnic. In college, Cassidy continued to pursue her interests and studied marine life conservation, earning a Bachelor of Arts in Environmental Studies and a certificate through the Marine Option Program at the University of Hawai‘i. 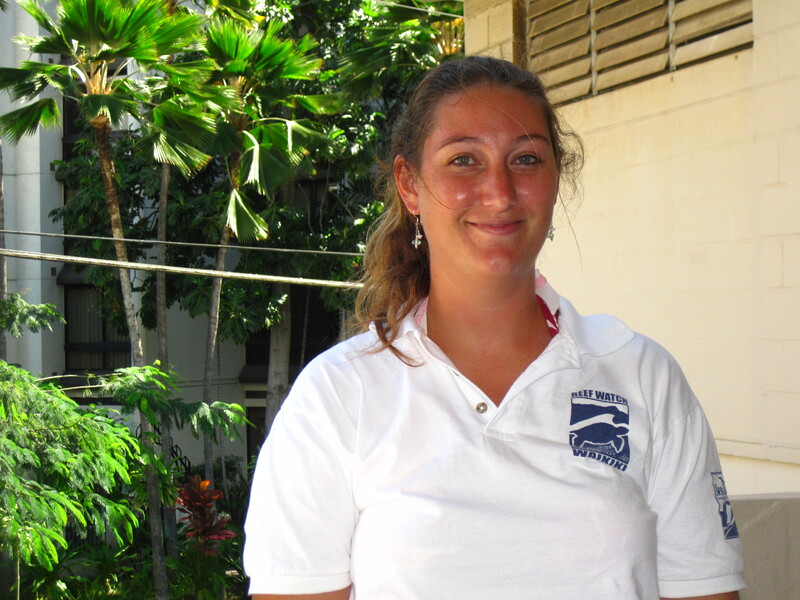 Cassidy joined the Reef Watch Waikīkī team for a year-round internship program through the Hawaiʻi Youth Conservation Corps, and will be helping with the monitoring program. When she is not working, Cassidy will most likely be hanging around in the littoral zones of Waikīkī, engaging in her favorite pastime – surfing. Kristie M. Brachmann has a B.S. in Environmental Science from SUNY Brockport, and an M.S. in Biology from the University of Nebraska, Kearney. She loves being outdoors especially when she can be hiking, running, snorkeling or taking pictures of nature. Kristie is an environmental activist. She supports conservation of our natural resources and preservation of our land and sea. Kristie is interested in non-profit work in conservation biology. She has a background in environmental lab work as well as various ecological settings including wetlands, forests, and now reef ecology with Reef Watch Waikīkī. She is passionate about environmental issues; creating awareness and teaching others how to be good stewards of our planet. wildlife conservation, and education. She plans to one day have a job that combines these three passions. 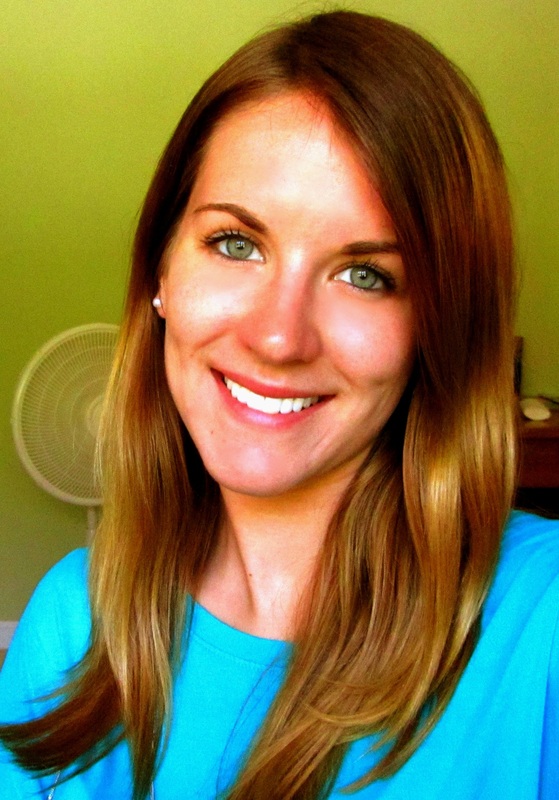 Through past internships Erin has experience working with both sea turtles and small mammals. She is also a contributing author to a book titled San Diego Bay: A Story of Exploitation and Restoration, in which she focused on the California Sea Lion. Erin will be interning for 6 weeks with Reef Watch Waikīkī in the hopes of gaining some hands-on experience while contributing to the current projects being undertaken by Reef Watch. Faye is from Yorshire, England and is currently studying for her honours to add to her B.Sc in Zoology from the University of Dundee, Scotland. Growing up on a small farm in the countryside Faye has always had more than just an interest in nature and wildlife and is interested in all organisms and ecosystems. A passion for marine biology grew when she worked as a research volunteer in Indonesia learning to dive on some of the most diverse coral reefs in the world and contributing to marine ecology research. Faye became involved with Reef Watch Waikīkī through the Institute for Cultural Ecology and hopes to take a hands-on role in research and conservation, and would ultimately love to make nature documentaries to inspire people about the world around them. Faye loves being outside enjoying hiking, running, swimming and exploring. Alex is from Mainland China and currently attends the Hong Kong Polytechnic University with a major in Biology & Biotechnology. He was particularly interested in marine life when he was young and this interest drove him to take part in this internship to learn more about preservation and protection of the marine environment. Last semester his team finished a research project on the coastal environment and this gave him knowledge and experience about conservation. 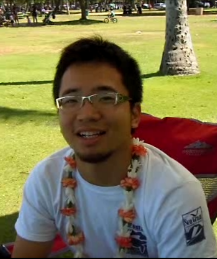 Alex will complete a 6-week internship with Reef Watch Waikīkī. He loves the beautiful beaches and is enjoying his experience in the Islands. In the future, he plans to get his Masters Degree in marine science and he hopes this internship can benefit him and he can share the knowledge he gains to advance protection of coral reefs in Waikīkī. 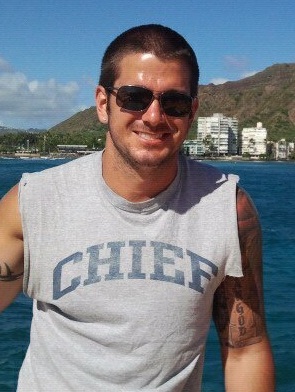 Dan grew up in the small town of Mokena which is part of the South suburbs of Chicago, Illinois. As a kid he was fascinated by the world of biology, a fascination fueled by annual fishing and hiking trips with his father to places like Colorado, Florida, and Canada. Dan is currently an undergraduate student at Illinois State University studying biological and environmental sciences. He recently participated in research projects at his university involving sperm competition with burying beetles and will begin work with another research project in the Fall of 2011 involving stream ecosystems. Conservation and marine research are his primary interests for a future career. Dan ultimately hopes to be able to contribute to informing the public about marine life and make a difference in the perpetual struggle to preserve and protect our marine environment. Kimmie grew up in a very small, rural, farming community in the town called St. Paul, Oregon. She was raised with a walking stick in hand venturing into the forested areas behind her family home. It was there on those little adventures that big inspiration came. Driving tractors, riding 4-wheelers, fishing, and horseback riding were usual pass times for her at a young age and a passion grew to preserve the land and water for future generations to dwell in the splendor of what she saw everyday. Kimmie attends Oregon State University majoring in Fisheries and Wildlife Science. With a passion for conservation and informing the public about the need to preserve our world’s natural wonders, Kimmie plans to graduate in the Spring of 2012 with her B.S. Kimmie had the opportunity to be the official spokesperson for the PRCA world-renown St. Paul Rodeo. It was this experience that inspired her passion to share what she’s learned with the public. From countless speeches and public apperances, Kimmie realized that becoming a representative for an environmental organization would become her dream job. Through this opportunity with the Institute for Cultural Ecology Kimmie plans to take what she has learned from Reef Watch Waikīkī and tell all who will listen about the importance of caring for our planet and the many creatures that inhabit it. In her free time Kimmie loves to run, cook, playing fetch with her dogs, and enjoys galloping her trusty steed, Gordy, off into the sunset! 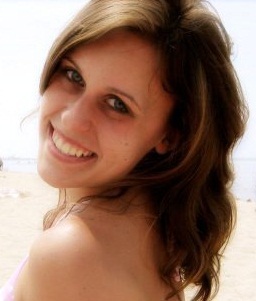 Sarah is from Long Island, New York, and currently attends the New York State University of New Paltz. She plans on graduating in the spring of 2012 with a B.S in Early Childhood Education with a concentration in biology. Living on an island and visiting many tropical places as a child, including Hawai’i, Sarah gained a great appreciation and passion for marine ecosystems and their conservation at a very young age. Along with her hopes of becoming a teacher, Sarah wishes to pass on her knowledge of and love for biology and the environment to future generations by helping to develop biology-based educational programs for local schools. As an intern through the Institute for Cultural Ecology, she hopes to use her experience here with Reef Watch Waikīkī to develop her skills as an educator. Some of her other interests include traveling, cooking, painting, and playing with her Shiba Inu, Nikki. Beth grew up in Oshkosh, Wisconsin and attended the University of Wisconsin Whitewater before transferring to Hawai’i Pacific University in the spring of 2009 where she is pursuing an undergraduate degree in Marine Biology. She is interested in fisheries management and hopes to one day work in that field. In addition to assisting Reef Watch Waikīkī with its MLCD monitoring project, Beth has worked on a variety of other activities, including: coordinating a weekly outreach table at the Moana Surfrider Hotel; coordinating Reef Watch Waikīkī’s monthly outreach booth at Waikīkī ArtFest in Kapiolani Park; and developing educational materials to be used at a new outreach site adjacent to the Waikīkī Marine Life Conservation District. Once established, this outreach presence will provide information on what the MLCD is, what can be seen there, and tips on good snorkeling etiquette and ocean stewardship. Through her studies at HPU, Beth has also started an algae classification project for which she will identify common algae species observed in Waikīkī and then create a website that can be used as a guide for the general public to identify algae occuring in these regions. Linda grew up around small lakes in Kansas and developed a deep love for the ocean during recent travels in Australia. She is currently pursuing a B.A. in biology at Bethel College in North Newton, Kansas. After college, she plans to attend graduate school in the field of marine biology and pursue a career in research or conservation. Her interest in biology was first inspired by a dedicated teacher and spans all manner of organisms, whether marine or aquatic species, or terrestrial animals. To this day, she continues to learn new things and enjoy all aspects of nature and wildlife. Her hope is to become actively involved in conserving the enviroment for those that will be here long after we leave. Megan grew up living near the sand dunes of Lake Michigan in the small town of Valparaiso, Indiana. Her initial passion for ocean wildlife was sparked through various explorations with her family during trips to Florida and the Caribbean. She acquired her advanced scuba diving license before graduating from high school and attended a research trip to the Florida Keys studying marine ecology. Megan is currently pursuing an undergraduate degree in biology at Saint Marys College, Notre Dame and got involved with Reef Watch Waikīkī through the Institute for Cultural Ecology. With a main focus in conservation, she hopes to continue to educate others of the importance of a healthy marine environment and respect toward marine inhabitants. Besides marine conservation, Megan’s other great passion is traveling and she is always searching for a new place to visit. Born in Kingston, Pennsylvania, Kamri found her interest of the ocean and nature at a young age by taking annual trips to Ocean City, New Jersey where she gained a love for the outdoors. The enjoyment of hiking and biking gave Kamri the passion to help keep the world as beautiful as she experienced it growing up. Kamri is currently a student at Kutztown University of Pennsylvania. She is an Environmental Biology Major with an interest in water conservation. She previously interned in a water treatment lab, learning the processes and chemistry related to recycling water. She connected with Reef Watch Waikīkī though the Institute for Cultural Ecology and commited to a six-week internship to gain experience and help educate others about protecting our marine environment. Heather’s initial desire to study biology began in her hometown of Fort Worth, Texas where she was able to explore the outdoors and establish a love for wildlife. She eventually pursued her passion for nature by studying biology, becoming a certified diver and participating in several volunteer projects across the world. After completing her undergraduate degree in Biology at The College of William and Mary, Heather moved to O’ahu to complete a year-long Hawai’i Youth Conservation Corps Internship with Reef Watch Waikīkī. She is currently helping to develop the monitoring program for this project. 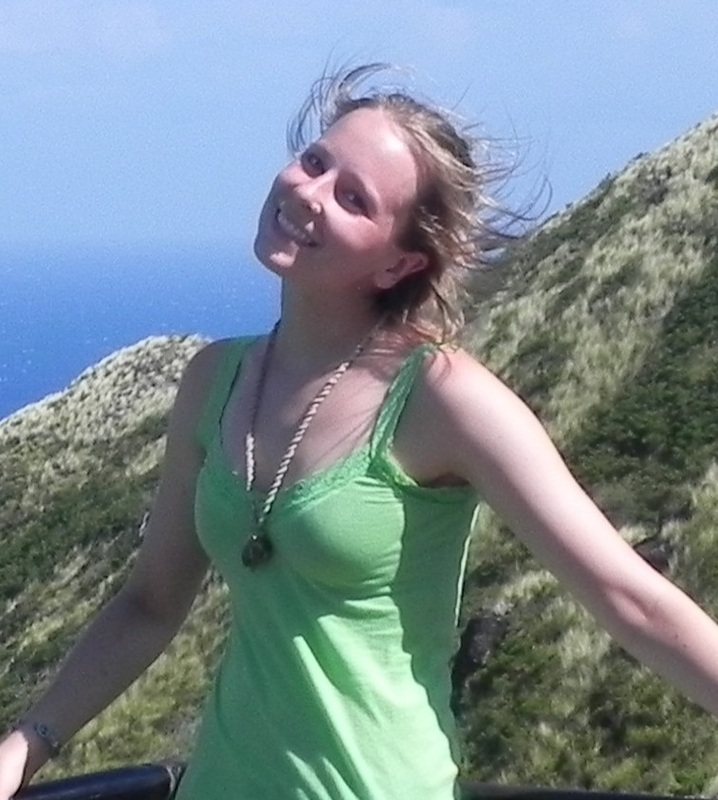 In the fall of 2011, Heather plans on pursuing a graduate degree focused on marine ecology and conservation. If you don’t find Heather working for Reef Watch Waikīkī, you will most likely find her training for the Honolulu Marathon. Yasmin grew up right here in Hawai’i where she graduated from Leilehua High School. Growing up in a military family, Yasmin had the privilege to visit and live in many places, which fueled her interest in geography. Yasmin received her B.S. from Texas State University with a major in physical geography and a minor in biology. In addition to studying geography and biology, Yasmin studied Geographic Information Systems (GIS) techniques and cartography, earning her a GIS Certificate. Her professional experience includes environmental fieldwork as well as water quality and chemical analysis. Yasmin’s areas of interests include geology, natural hazards research, spatial analysis, and impact analysis. Yasmin enjoys being outdoors and she especially enjoys hiking, snorkeling and traveling. From a young age, Ian has sought to connect tourism with humanity’s quest to expand its knowledge of the natural world. He is particularly interested in the geographic isolation of the Hawaiian Islands, which provides a great learning opportunity away from his home in Northern California. Today he shares his time with Reef Watch Waikīkī, as a full-time undergraduate student at the University of Hawaii Manoa. Ian is also active with the University’s Ecology Club and is a founding member of the Sustainable Travel Education Partnership. His experience as an Environmental Studies major has broadened his understanding of conservation as well as the importance of environmental education in fragile natural areas, such as island reef ecosystems.